We love pretty China, and over the years we’ve collected several sets of dinnerware with beautiful patterns ranging from song birds and roses to winter fowl and fishes. And we actually use them throughout the year. We put out different patterns for different seasons, holidays and occasions. We’re not being snooty, we just enjoy setting a pretty table. Plus, we know that setting out nice plates makes our guests feel very special. However, we’re not averse to using paper plates. 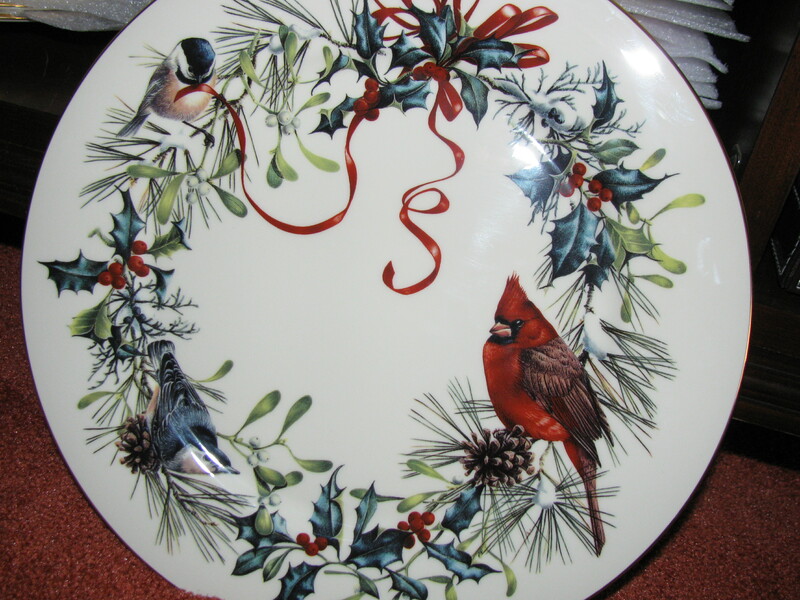 In fact, for certain situations paper plates (or plates molded from plastic or styrofoam) are best. 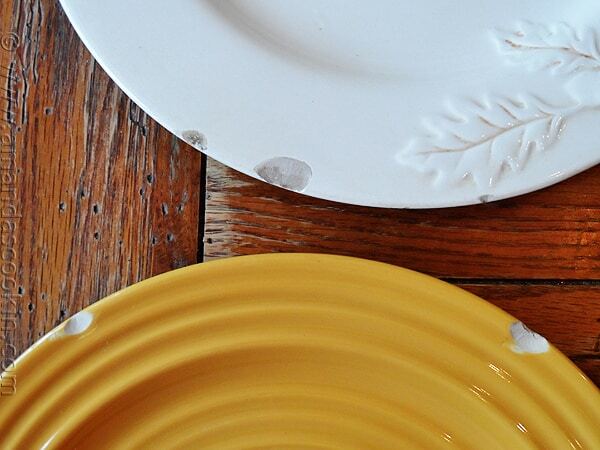 And face it, most people who own fine China usually also have a set of everyday dishes — nothing to really brag about, but perfectly serviceable for setting a meal on the table. Now, allow us to ask you two important questions. Your answers will be key to the kitchen wisdom we’re about to share. 1) What’s more important: the food or what it’s served on? 2) Does serving food on a paper or foam plate make it taste any less delicious? If you’re like us, you’d rather have something really scrumptious served on everyday dishes than something that tastes ho-hum served on expensive China. We believe anybody would. Furthermore, we have friends who are good cooks but who don’t own nice dishes. They serve delectable meals on old plates that are scuffed, chipped and cracked — or they simply use disposable plates. Now obviously, the delicious food they lovingly prepared for us, tastes every bit as good on a chipped plate as if it were served to us on bone China. So, again, while having fine China or pretty dinnerware is nice, it’s not as important as the food itself — or the one who lovingly served it. If you receive something that’s gourmet, it’s remains gourmet whether it’s served in a plate made of paper, foam, plastic, or porcelain; whether it’s served in an aluminum pie pan, a chipped dish, or a bowl made of unglazed clay. The FOOD served in the vessel remains unchanged. Our Heavenly Father understands this — even when we sometimes don’t! 2,000 years ago, God served the human race something that was GOURMET ALL THE WAY: the redeeming work of His only son Jesus Christ, who died for our sins that we might have eternal life. We receive God’s gourmet salvation, as a free gift, when we confess with our mouths Jesus as Lord and believe in our hearts that God raised Him from the dead. (Romans 10:9) Our promise of eternal life is sealed by the power and the presence of God’s Holy Spirit, who dwells within each of us! Just think, if you’re a believer, there’s a spark of the divine Creator of the Universe dwelling in you. God filled you with His divine presence the moment you received Christ as Lord and Savior. And it’s gourmet all the way. We essentially become God’s dinnerware. We doubt any of us can brag about being expensive bone China, though. Most of us are just plain, everyday dishes. Many of us are scratched and scuffed up from years of use. Some of us are cracked and a little tarnished from the often rough-handling we receive in life, or chipped and broken from our own past failings. But that’s not a problem for God. He still uses each of us to serve in His kingdom. There are many brands of resealable plastic storage containers sold in stores today. Most are designed to go from refrigerator to microwave and then, if necessary, back to the refrigerator. These containers come in all shapes and sizes, and some of them have very specific functions. Some are made of a durable plastic that can withstand repeated use in the microwave as well as countless trips through the dishwasher. Some are pricey, but there are a few brands that are made of a thinner plastic and intended to be semi-disposable, such as Gladware. These cheaper containers can be reused several times before repeated microwaving leaves them whimpering for mercy and — like a few friends we know — all bent out shape. Few people refer to these food-savers as “resealable plastic storage containers”; it’s a lot easier to refer to them collectively as Tupperware. Tupperware, however, is a brand name. But since Tupperware were the first and most popular food storage containers, many people use the famous name to describe any similar product — in the same way most people call all gelatin Jello, and all tissues Kleenex. Perhaps wrong, but understandable. Tupperware paved the way and made work in the kitchen easier. These marvels of versatility also empowered women who were stuck in the kitchen. More on this later. 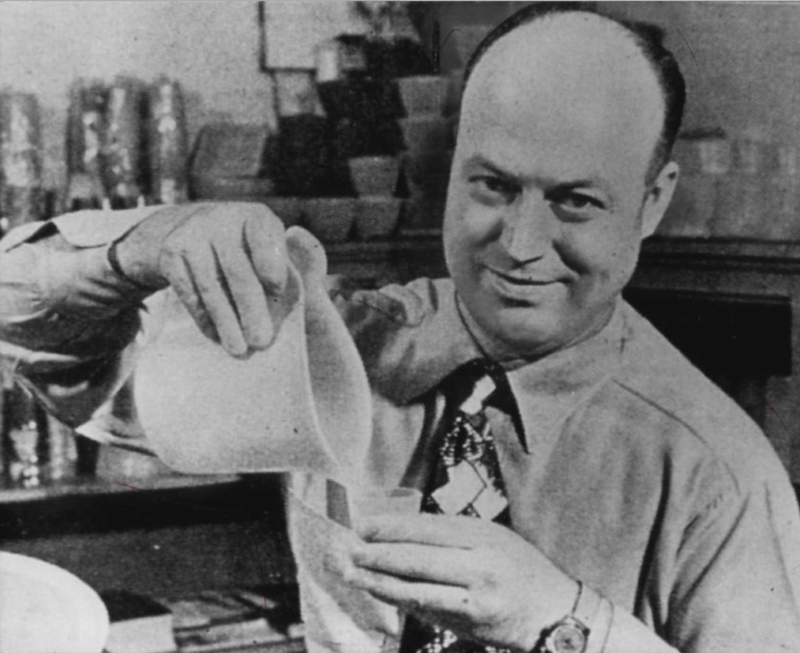 A Massachusetts chemist named Earl Silas Tupper (1907-83) had invented a soft but rugged plastic in 1938, but wasn’t too sure what would be its best use until he came up with the idea for Tupperware in 1946. Tupper initially developed his soon-to-be famous containers to store food and keep it fresh. His first design was a bell-shaped container called the Wonderlier Bowl. Not only did the Wonderlier keep food fresh, but it also could be used as a serving bowl. Tupperware was also a pioneer of direct marketing. During WWII, thousands of women entered the workplace, filling jobs in factories and offices. By the 1950s most of them had returned to the kitchen, and many of them were feeling a bit shut in, underused, and forgotten. The Tupperware Party allowed these women an opportunity to once again be a part of the business world, to interact and to earn money. And all for a product they could get passionate about. What made Tupperware so special? When the containers were sealed, they were airtight, so foods stayed fresher — for a much longer period. Tupperware boasted its containers were so airtight, that once you sealed one, you could crack open a small section of the lid and “burp” out the remaining air. Tupperware even went so far as to patent their “burping seal”! In their ads, Tupperware boasted the “airtight promise”! Freshness and flavors were locked in, and liquids weren’t able to seep out around the lid. Why are we gushing so much over a plastic container? We’re not. When first introduced, Tupperware’s Airtight Promise was indeed innovative. Tupperware sealed tight as a drum. It locked in freshness. It preserved what was inside. But if you’re like us, and you’ve trusted Jesus Christ for your eternal salvation, you’ve got something far better than Tupperware on your side. You’ve got God’s Holy Spirit! Salvation is God’s Divine Tupperware!